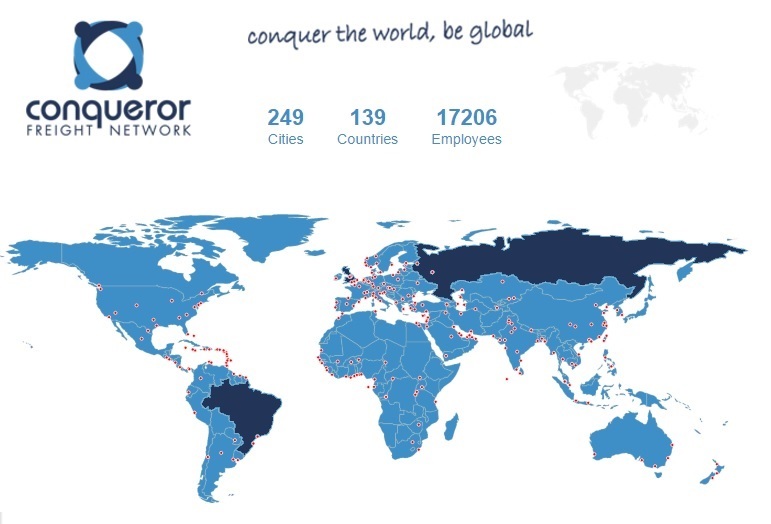 Conqueror Freight Network continues its expansion worldwide, at the same time as its quality standards increase daily. “Whilst we receive countless applications every day, we are not operating an open door policy. Each member must pass a rigorous selection process and an audit by the third party auditor DUN & BRADSTREET before they are allowed to join” said CQR Managing Director, Antonio Torres. In the first week of September alone, 3 new members have joined the now second-largest freight forwarding network, covering three new cities: Sao Paulo, Manchester and Moscow. “Having excellent network coverage is the key to competing with the multinationals, who have offices in every corner of the globe”, he added. However, Conqueror’s team are not complacent about these achievements, Antonio continued, “We firmly believe that we need to improve our network, not just by increasing coverage, but also by taking care of our members. That is why we are working on new benefits for them, so that they have all the tools to compete successfully in the industry in every corner of the world”.